George “Dale” Linderman was born March 20, 1924 in Wells County to George and Christine (Valer) Linderman. He was united in marriage to Jean Hanson at the Federated Church parsonage September 1, 1946. They made their home on the George Linderman farm before moving to Lemert. In 1953 they moved to their new home in Birtsell Township where Jean and Dale farmed and raised their family. Dale was an active member of the community. He was a member of the Federated Church in Carrington serving on the church board. He also served on the Birtsell School and Township boards and was an assistant Boy Scout leader. In 1958 he received the Outstanding Young Farmer Award. Dale served in the North Dakota State House of Representatives from 1963-1966, 1969-1974 representing District 14. Over the years Dale and Jean enjoyed traveling, visiting all 49 continental states. Some of the best adventures were camping with their children and visiting family and friends near and far. One of his favorite destinations was their ranch near Bozeman, Montana. He was an avid hunter harvesting many trophy animals including deer, elk, antelope, bear and moose. 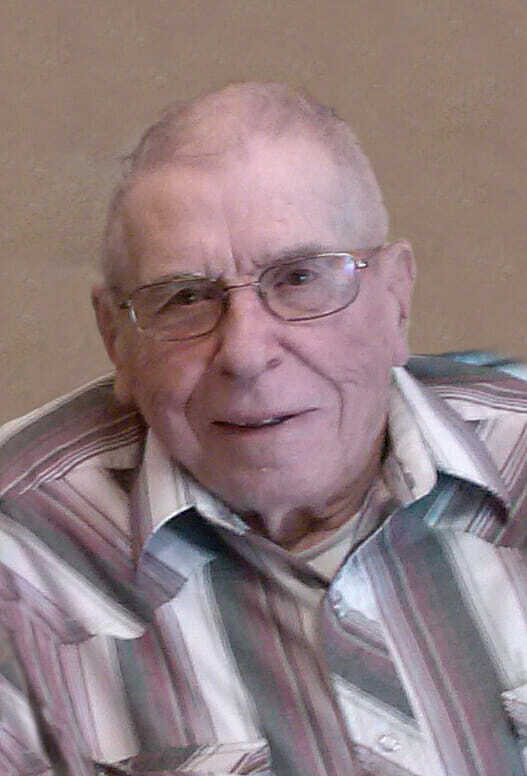 Dale Linderman, age 94, of Carrington, ND passed away Tuesday, October 16, 2018 at Golden Acres Manor, Carrington, ND. He is survived by his children: son Kent Linderman, Sykeston, ND; daughters Georgia (Roger) Blestrud, Tioga, ND; Monica Linderman and Roxanne Linderman, both Belgrade, MT; Nadine (Roger) Florhaug, Kensal, ND; sister Phyllis Lura, Carrington, ND. Grandchildren: Tana (Matthew) Olson, Derek Blestrud, Kya (Craig) Schroeder, Reid (Samantha) Loessberg, Jessica (Ryan) Eastman, Matthew Florhaug, Daniel (Ashley) Florhaug and Ross (Katie) Florhaug. Nine great-grandchildren: Siri, Soren, and Jorgen Olson, Luke and Pierce Eastman, Nolan, Lydia and Boden Florhaug, Avery Florhaug and many nieces and nephews. He was preceded in death by his parents, wife and sister Maxine. Our family would like to express our heartfelt thanks and gratitude to all of you who have been so kind and thoughtful at this difficult time. Your love and friendship now and throughout the years has meant so much. May God bless the memory of Dale. Visitation: Monday, October 22, 2018 from 9:00AM – 7:00PM followed by a Prayer Service at 7:00PM all at Evans Funeral Home, Carrington. Funeral Service: Tuesday, October 23, 2018 at 10:30AM at Federated Church UCC/UMC, Carrington. Oh I’m so sorry of your loss! Such a sweet man! Reminded me of my dad! Prayers to the whole Linderman family. Sorry to hear about Dale’s passing. We were cousins, but often not so close because of our age difference. Nevertheless, when our paths crossed, Dale was always was always eager to catch up on family connections. He was a community minded person both in and out of government – The kind of politician we could use more of today. It’s hard to find words to give comfort at this time. To my family … Uncle Dale was a very special person, and the last of that generation to love and guide us. He will be missed by us all. Thinking of my northern kinfolk at this time … sending love across the miles. I send condolences on behalf of all of my family. My mother, Kathryn Ibsen Norton was Jean’s cousin. Over forty years ago my mother, sister, and our families attended a reunion at Dale and Jean’s Montana ranch. We will always remember the great hospitality of Dale’s family! We remain inspired by Dale’s life and family to this day. Kent, my condolences to you and the rest of your family. Just remember all the wonderful times you shared and it will get you through. We were sorry to hear of the loss of Dale. He lived a good life and will be missed. We are very sorry for your loss. May God continue to bless each of you.